The New Berridge Tee-Lock Panel architectural and structural standing seam metal roofing system offers 18" coverage with a 2 3/8" high standing seam sidelap. It is ideal for residential or light commercial applications with solid sheathing and can be factory formed up to 40′. Since 1970, Berridge Manufacturing Company has provided customers with the industry's highest quality metal roofing and siding products. 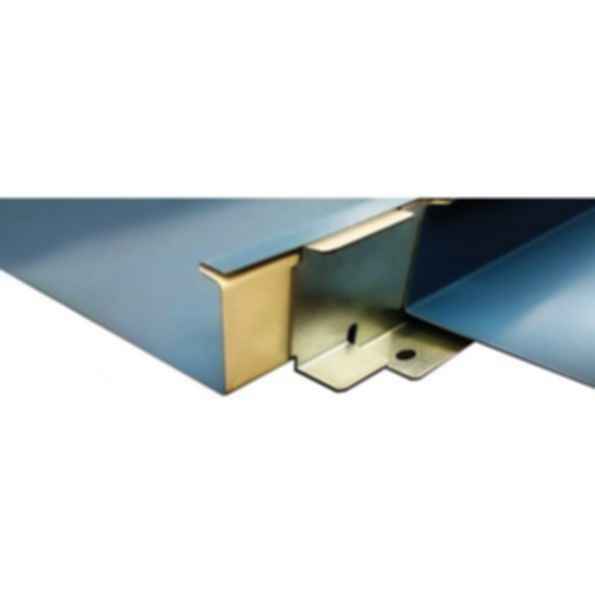 For over 40 years, the company has specialized in the research and development of architectural sheet metal products. Many similar products listed in Sweet's Catalog were originally designed and developed by Berridge Manufacturing Company. Berridge's unique Total Program is a comprehensive approach to supplying superior products and services to customers around the world. The Total Program offers a full range of precision-tolerance portable roll forming machines, painted coil and flat sheet, and over 30 panel styles, all backed by technical and marketing support. The Total Program presents an unparalleled range of products and depth of service that has placed Berridge at the forefront of the architectural metal panel industry. In response to market demand, Berridge developed reconstructive building products for the restoration of historical buildings. A complete line of residential roofing and siding products round out the extensive product line, giving Berridge the industry's most comprehensive line of architectural metal products.